Apartment living comes in many different shapes and sizes, from the one-bedroom town house to the high-rise tower blocks. And like any other household, the apartment renter has a number of chores and responsibilities from family commitments to household cleaning and maintenance. One particular task that should not be neglected but which does tend to get pushed down the bottom of the “to do” list is work on improving the security and access to the apartment. If you are several floors up, you need to know who you are allowing into the building, if not for your sake but for your neighbours. Even with street level access, there are several reasons why you need to install the right intercom system for your home. The primary reason is to establish communication with the individual trying to enter the premises. Entry should really be limited to the residents, family members and friends, delivery and service personnel. If someone does not have a good reason to be on the premise, then they do not get any access. If you have mobility difficulties, then automated access to the property and being able to screen visitors without running up and down stairs or using a lift, is another reason to ensure there is a suitable intercom system installed. Whatever the reason, you need to evaluate the layout of the building, the entry and exit points, the number of people it needs to service and if it can be integrated into other systems before deciding on which system best suits your requirements. Who else needs to use the system? The size of the apartment complex is the first point to consider, if you are the landlord responsible for high rise apartments or condominiums, this will narrow down the options available to those suitable for handling the needs of a large building. In this case, thinking about the accessibility and user experience is important; if users have to search for a name for example. Given that most of us will be looking to have a system installed in just our own apartment, one of the systems that work on a smaller scale is going to be the best option. Do you need audio-visual capabilities? If you are only looking for an audio intercom that allows you to speak to the person on the other end, there are a number of home security packages that will suit your needs. However, if you have hearing difficulties, or need to be able to see who you are speaking with, then choose a system that has a video intercom. Some of these come with a built-in camera to allow for identification of the visitor and this is particularly useful for the elderly resident. If the property comes with solid doors (no glass entrance for example), and without the opportunity of easily identifying who is on the other side of the door, a video intercom is going to be the best choice. Do you need to integrate the intercom with a locking system? Technology has moved on apace, and today’s intercoms can be integrated with an access control system. Not only can they open doors and lock exit and entry points, but also operate gates and be integrated with other surveillance systems such as your CCTV. If you have need for secure access to the property (for e.g. caring for a parent with dementia or have young children in the household), having an integrated intercom system will be invaluable. Do you need a system that you can operate remotely? With today’s mobile technology and smart phones, there are intercom systems that you can answer without even being in the apartment. If someone comes to the door and rings a smart door bell, then you are able to view who is on the property through your smart phone provided you have the connectivity. You will be able to communicate with the visitor giving the impression the property is occupied which is a great security feature. This sort of connectivity to the apartment, through smart technology and the right type of intercom system, would be ideal for those whose work may require them to be away from home for more than one day at a time. If you are working down at the bottom of the garden and cannot hear the door bell, is there a system you can operate remotely from your mobile once you have established who needs to be let into the building? Planning how to use your intercom in your daily life will enable you to review those systems that are going to be suitable for your needs. There are a number of intercoms on the market today from wired to wireless, from simple audit conversations to ones that can open and close doors, windows and gates. 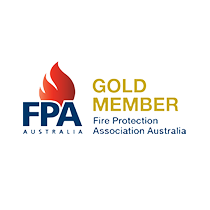 Talking through the type of apartment you live in with the needs and requirements of your family and your lifestyle will help narrow down the best system to suit your requirements. 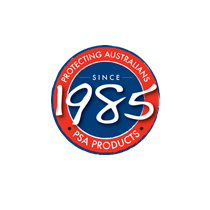 PSA Products have been protecting Australian families for over 30 years with a complete solution of fire, security and intercom products. Contact them today and discuss what type of intercom system would be most suitable for your apartment building.